"What the hell?" I exclaimed to my friends as we queued for Isaac toast. "How can toast be internationally famous?" The queue was horrendously long, made up of both south koreans and tourists alike. Google 'Isaac toast' and you will see tons of positive reviews of this mega toast chain. "I can also make this at home what," I thought to myself pridefully. All it took was just one bite to know that I was dead wrong. This wasn't a marketing gimmick that turned successful, the toast itself is remarkably delicious. 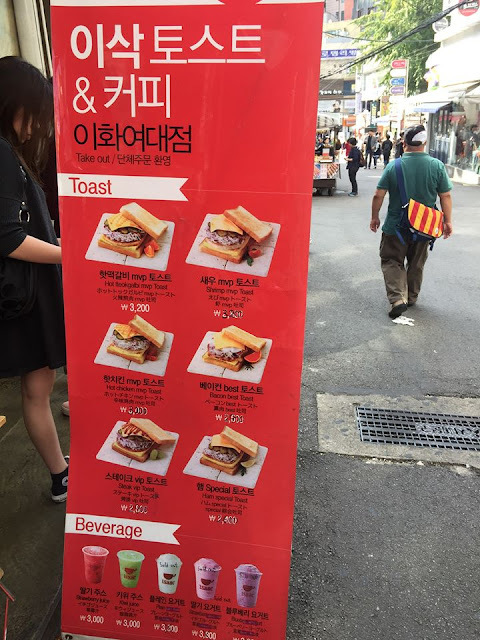 A toast chain based in South Korea, the chain has over 700 retail stores in South Korea and has further expanded internationally with established branches in Malaysia, Macau and Taiwan. 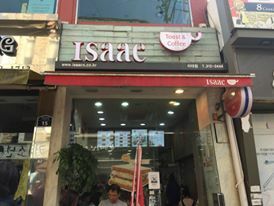 It is named after Isaac, the Israeli patriarch of Genesis. We tried the Bulgalbi mvp (3,200won) and Hot tteokgalbi (3,200 won) — at first sight, they may not look aesthetically appealing but the excellent taste is a hallmark of every toast. They are freshly prepared in an open-concept kitchen right in front of each diner — so you can expect a piping hot fresh toast. They were also very generous with their ingredients - I had a hard time keeping the cabbage from spilling all over. There's also a 'secret honey sauce' which makes it really addictive. From time to time, the chain comes up with special menu such as the 'pizza series' or 'ham series'. 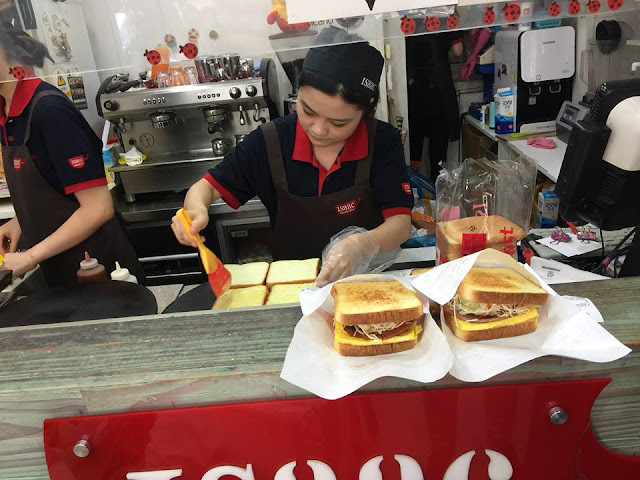 It all began 1995, when an elderly Korean woman had to resort to selling sandwiches to meet ends meet when her husband was diagnosed with a serious illness. She started with a small street food stall outside one of the universities in Seoul. If a staple like toast and bread can become so wildly popular, is there anything else which you think that God can't do? The flavours in the toast is remarkable — and here I am, craving for another bite. I hope Isaac Toast opens an outlet in Singapore someday!